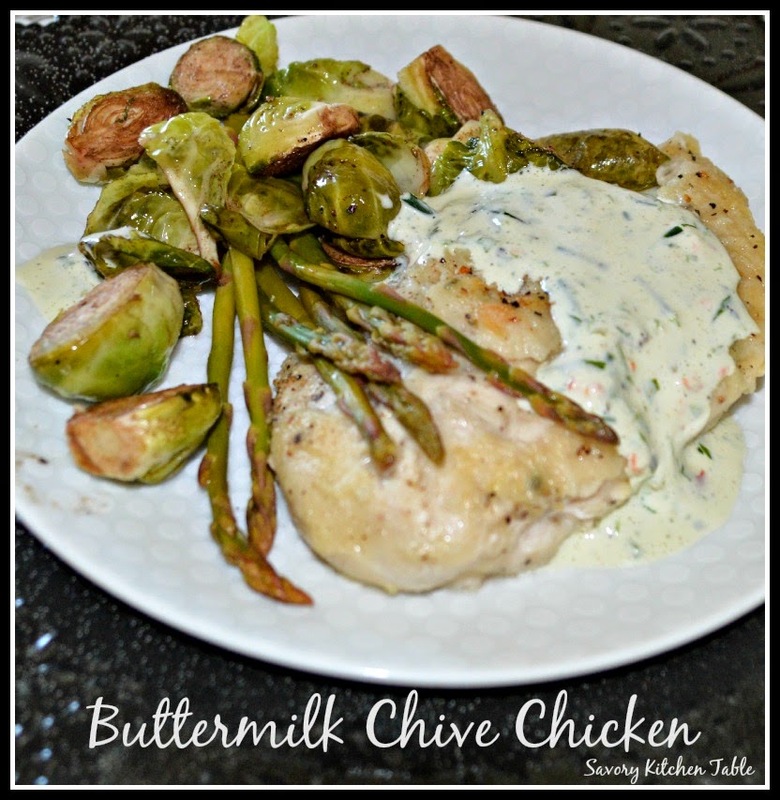 One of the things I love best about this recipe is the tenderness of the chicken. Marinating in buttermilk (especially for beef) is one of the best tenderizers available. Whisk together marinade and soak chicken for at least 4 hours. I prefer overnight. Heat butter or oil over medium high heat. Brown first side and then turn. Now cover and cook until cooked through. Blend together in small food processor and serve room temperature over chicken breast and veggies. Can be made ahead and refrigerated, but bring to room temperature while cooking the chicken. 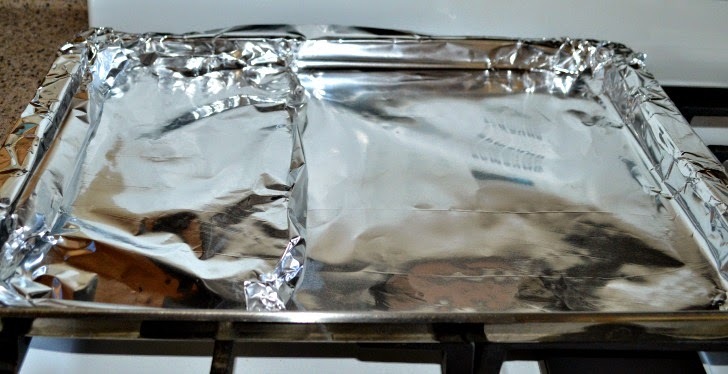 When I'm making a couple of veggies and want less clean up, I cover the cookie sheet with foil and then make foil dividers. 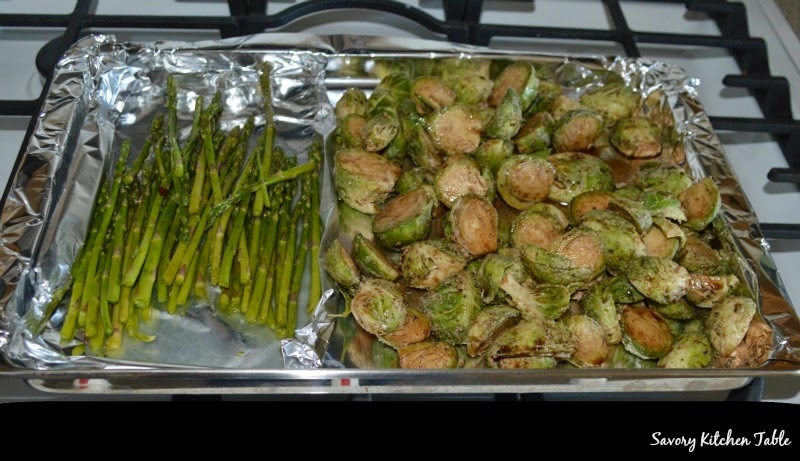 These Brussels Sprouts were roasted in a balsamic glaze while the asparagus was done in a lemon butter. Sounds delicious! Thanks for sharing the recipe! Enjoy your day! Thanks. I hope you try it and love it as much as we did!